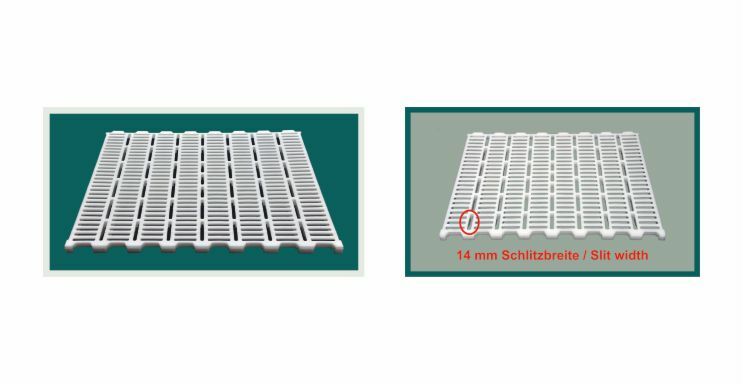 PREMIUMFLOOR has extended their range of products by universal poultry slats for ducks, geese, doves, hens and turkey. The new plastic panels are 600 mm wide and 800 mm long. It distinguishes itself by a slip-proof and clean surface, ultimate stability and a very good support of the animals' feet. Panels can be removed individually. Cuttable every 10 cm for waste-free installation. High load capacity and long useful life.